Hundreds of DIFFERENT tiles to match each with a fun sound effect…PLUS 64 wild and wacky reward buttons! Download on iTunes and find out why kids love to earn reward buttons! This preschool app features OVER 200 puzzles! 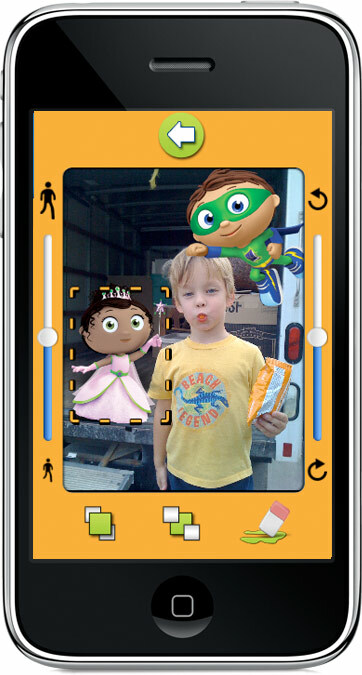 Download on iTunes or the NOOK Color and find out how cool and educational this new app is! 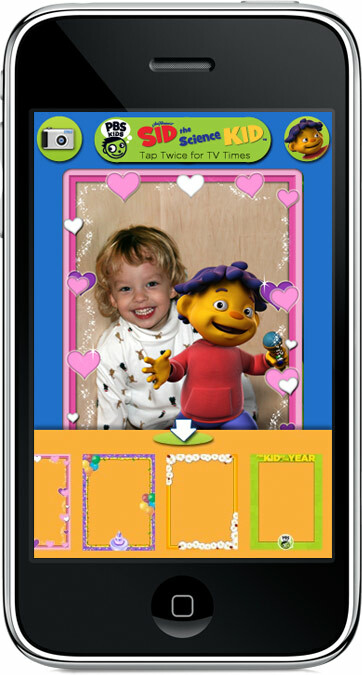 Put your child in a photo with a favorite PBS KIDS character in three simple steps. Features leading characters from series that air on PBS KIDS and PBS KIDS GO!, including Arthur, Caillou, Clifford, Curious George, Dinosaur Train, Fetch!, Sesame Street, Sid the Science Kid, SUPER WHY!, Word Girl, and more. Free on the iTunes App Store. Download for Free on the iTunes App Store. 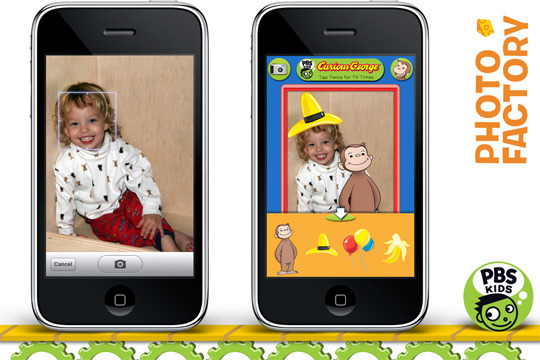 Take a photo of your child or use an existing photo already on your iPhone or iPod Touch. 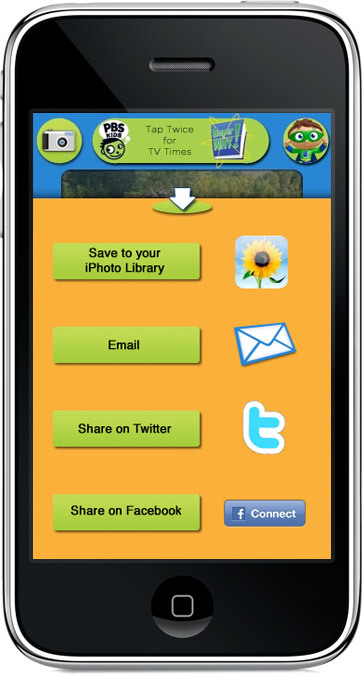 You can resize, zoom, or rotate the photo as well as add PBS KIDS-themed frames. Choose a favorite PBS KIDS series and add characters and decorations from the series. You can resize or rotate each object with simple sliders and can move the objects back and forth between the foreground and background. That’s it! Now you can share your photo using iPhoto, Email, Twitter, or Facebook. 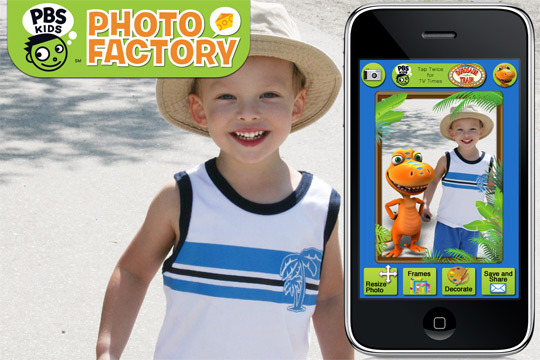 PBS KIDS Photo Factory includes tune-in information for each TV series. Tap twice on the program logo and from there you can access a program description and localized schedule.